These days, Visual Concepts are best known as the studio behind the NBA 2K series. But at the turn of the millennium they were making a demo game for the Dreamcast that, as rough as it looked, was very much ahead of its time. That game was called Internet Game Pack, and as Hidden Palace report, was originally intended to appear as a cover disc demo for the Official Dreamcast Magazine in 2001. The console’s demise that same year put a stop to that, though, and Internet Game Pack never saw the light of day. Silly name aside, that’s a bit of a shame, because it looks like something that would have done pretty well on Xbox Live Arcade (remember how popular Uno was?!) 4-6 years later. 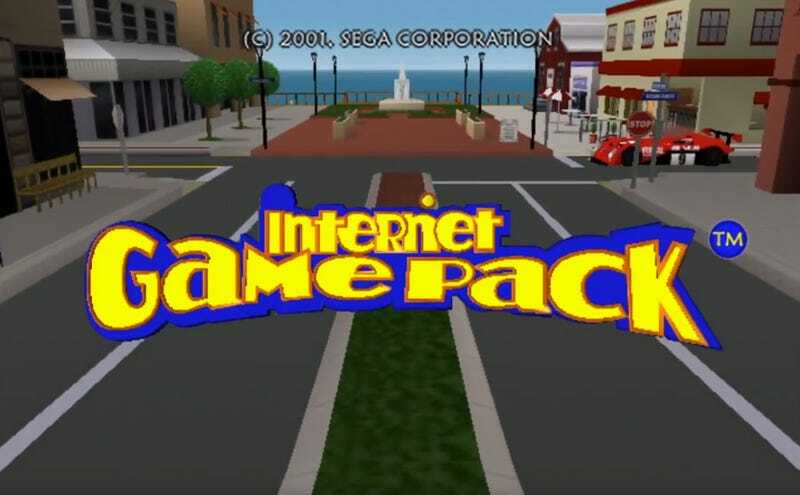 Internet Game Pack was designed to showcase the Dreamcast’s internet capabilities, and would have allowed players to take part in a range of basic card and board games against online opponents (though the games could also be played locally). Just another example, almost 20 years later, of just how far ahead of its time the poor lil’ Dreamcast was. If you want to download the game and try it out yourself in an emulator, Hidden Palace have the game files right here.